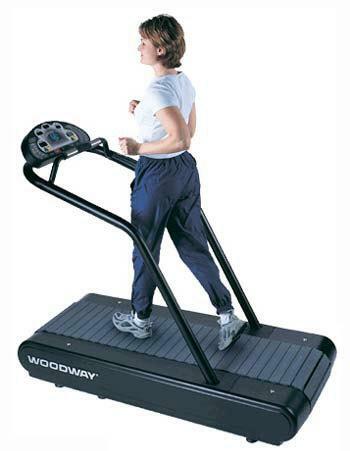 The Woodway Mercury S treadmill is the mid-size model of Woodway. It is very powerful and boasts side handrail control for easier operation. And just like other Woodways, it can also be customized to fit your needs. If you’re looking for a treadmill that can give you power and durability, then this review might interest you. This machine is built like a tank. It can very well be the last treadmill you’ll ever have to buy. However, with a price tag of nearly $9,000, I would only recommend it to serious runners who can afford it. The Mercury S also comes with the world famous patented slat belt transportation system. This unique belt combines the conventional belt and deck design into one, which resulted in a tank track-like running surface. With it, you’ll get less friction which means less wear and tear and a longer treadmill life. The running area is 17” wide and 68” long. The length is perfect for tall people who require longer strides. However, I think that the width is somewhat too narrow. So I suggest you try it out first and be sure that you can comfortably run on it before deciding to buy. The 2.0 HP continuous duty servo drive motor provides excellent power. It has a speed range of 0-11mph and an incline range of 0-15%. Also, with the 500lbs weight capacity, you’re assured that the treadmill will remain stable and powerful no matter how heavy you are. As I’ve mentioned above, this Woodway can be customized to fit you. If you think the max speed is not enough, you have the option to upgrade it to up to 15mph. Other optional features include pre-programmed and user defined workouts, an LCD display, more readouts, Polar™ monitor chest strap, 220 V or 208 V - 50/60 Hz Power Supply, and RS-232 serial interface port (includes software). And finally, Woodway treadmills, including this one, offer a limited fitness center (for institutional facilities use) warranty of 3 years for parts and 1 year for labor. It also has a limited home warranty (for personal home use) of 4 years for parts and 1 year for labor. Just like other Woodways, this one also comes with poor fit and finish quality. Also, the console is a little unstable when you run at high speeds. However, these are just minor setbacks and with all the features you’ll be getting, this is still one of the best treadmills a person could own. I believe that this machine’s durability and power alone is more than enough to make up for all its flaws. If you can afford it, I highly recommend the Woodway Mercury S treadmill. I’m currently having a hard time locating an internet retailer carrying the Woodway Mercury S treadmill, so for now, I suggest you locate a dealer near you through Woodway.com. It is normally sold for $7,995.